This is one of the most frequently asked homeschooling questions I hear. In a nutshell – yes…… and no. People think this should be an easy one to answer, but honestly, it’s a really difficult question to answer concisely. Why? There are a million different ways to homeschool and I can almost guarantee that no two families do it the same way. The easy answer to this question for me is that it CAN be very hard! But it doesn’t have to be. I have gone through many seasons in my home teaching “career”. At times, I have made things very diffucult for myself (and my children) by not setting realistic expectations, or trying to implement a method or curriculum that just wasn’t a good fit for us. The more in-tune you are with your teaching style, the learning styles of your children, and what priorities are the most important within your family, the easier homeschooling will be. How do you find the time to [ insert activity here ] while homeschooling? This question is sometimes referring to cleaning, or cooking, or spending time with my husband…. or any other activity that people who don’t homeschool think homeschoolers are too busy for! The simple answer is – sometimes I don’t have time to do all the things I want/need to do. I learned a long time ago that keeping a pristine home is pretty much impossible when your children are always home. I (and my husband) accept that educating my children takes priority over having an immaculte house. Sometimes I am lucky to get a home-cooked meal on the table once a week. Sometimes my husband and I are like ships passing in the night because we are just too tired or occupied with other things to focus on each other. That being said, I do plan frequent breaks into our schedule (we school year round) in order to allow time for those things that fall through the cracks when we’re in the thick of learning. Keeping your priorities in check is a huge part of making homeschooling work. Balance is something that I still struggle with daily. I try to remember that no one (except maybe me) expects me to do it all, so I pick and choose those things that I should be doing really well and give myself some grace with the rest. I am constantly re-evaluating and adjusting to make sure I don’t neglect anything that’s really important. For us, this is another difficult homeschooling question. Some families can grab a boxed, pre-scheduled grade-level program and run with it. That has never worked for us. All my children are so different, and they all have different strengths and weaknesses. What works great for one may be a complete flop for another. I have used LOTS of different methods/books through the years, so I have gotten really good at researching and evaluating curriculum to choose whats best for each child. There is always some trial and error, and my shelves are full of books I had high hopes for that are now just collecting dust. But, that comes from a desire to always give my children every opportunity to learn something in a way that clicks for them. Because of that, we use a wide variety of curricula every year. And it’s not unusual for one of my children to be using books at different levels for different subjects. How do you teach advanced [math, writing, science, etc] when your child is in high school? While my writing and grammar skills are pretty advanced (I was in gifted & talented classes in high school and I’ve taken and excelled in college level composition classes), math is not my strong area. However, I have never had a problem with my kids learning the things that I myself am not that great at. There are so many wonderful programs out there that either include computer or video based instruction, or provide scripted lessons for the parent, there is really no reason I can’t teach something as I learn right alongside my child. Even if that is not something you are comfortable with, there are other options – distance learning taught by a licensed teacher,one-on-one tutoring, dual credit college programs – the choices are endless! I know I never have to be intimidated by the fact that my child may need to learn something I don’t (yet) know. That’s the beauty of homeschooling! I get to learn with my children in new ways! Don’t you get tired of always having your children around? This homeschooling question always makes me sad. Why? We are living in a society where children are not valued. As parents, we are constantly fed messages that careers or me-time or whatever is more important that spending high-quality time with our children. While I do have rough days where I feel overwhelmed and find myself wishing I could have a couple of hours of peace and quiet to focus on myself, I realize that on some level that is a selfish mindset. It is my heartfelt belief that God has personally called me to keep my children at home, educate them, and feed them spiritually as much as I can. Not every parent is called to do the same, and I harbor no judgement for anyone that sends their children off to school. What is best for my family may not be what’s best for yours – and that’s ok! I am very blessed that I have never had to work outside the home. I have, I ran my own portrait business for nearly four years! But I found that I was not happy because I knew in my spirit I was not doing what I was called to do. I was not fufilling my God-given purpose. My home and family are my calling and my ministry. Looking at things through that lens helps me to focus on what’s important and avoid feeling sorry for myself (most of the time, I am only human after all). I find creative ways to squeeze some time in for myself almost every day, to refresh and refuel so that I can be a better wife and mother. You can’t fill someone else from an empty cup, after all! I truly do enjoy being around my children! That’s not to say there are moments when I don’t enjoy their attitudes or behaviors, but I am blessed to know my children so intimately! I am blessed to have such a large influence over their lives. Watching them light up when they learn something new or improve a skill is the most wonderfeel feeling as a mother I have ever experienced. I wouldn’t trade that for all the “me-time” in the world! Well! This post has already become quite lengthy hasn’t it? Stay tuned next month for Volume 2 of “Homeschooling Questions I am Always Asked”. 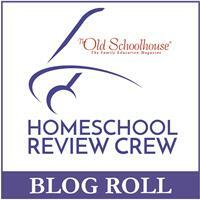 Do YOU have homeschooling questions I could answer? I would love to hear from you! Leave me a comment below and let me know what you’d like to see in future volumes in this series!